I was stunned when my neighbours told me they didn't know we could make a pizza at home. 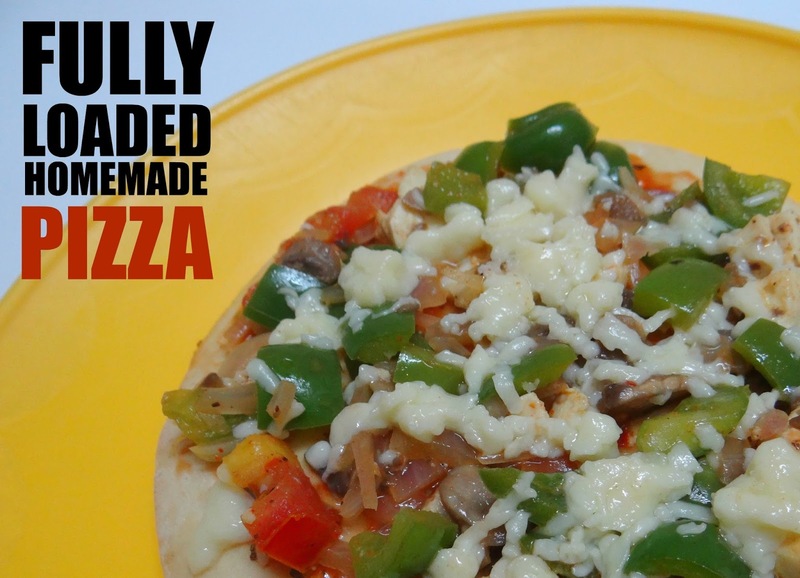 So, if you're one of those who don't know that we could make a pizza at home, here's my recipe of a fully loaded pizza. Make Pizza Sauce and keep aside. Chop onions, capsicum, tomatoes, and mushrooms finely. In a vessel, add butter, followed by the above chopped vegetables. Add salt, red chilli powder, and pav bhaji masala. Once the toppings are fried, add the finely chopped paneer cubes. Take a pizza base and apply butter on both the sides. Spread pizza sauce on one side. On a pan, keep the prepared base, and cover the pizza using a bowl or a dish that has broad edges. After a minute or two, remove the lid and check for the base. Once you see the base roasted, turn off the gas and hog on that delicious piece of pizza!